This is the front panel of the roaster. I placed three K type thermocouples on the front. One in the bean mass (you can see it through the glass on the front), one in the middle of the roaster (for environmental readings) and one next to the old analogue gauge. The roaster is very noisy electrically. I had these thermocouples made to specification by an engineering supplier and they work fantastically. This is the newest control board that I've made. It uses an Arduino Nano to send information over Bluetooth to the computer. It uses some MAX31855 thermocouple amplifiers to read the temperature. 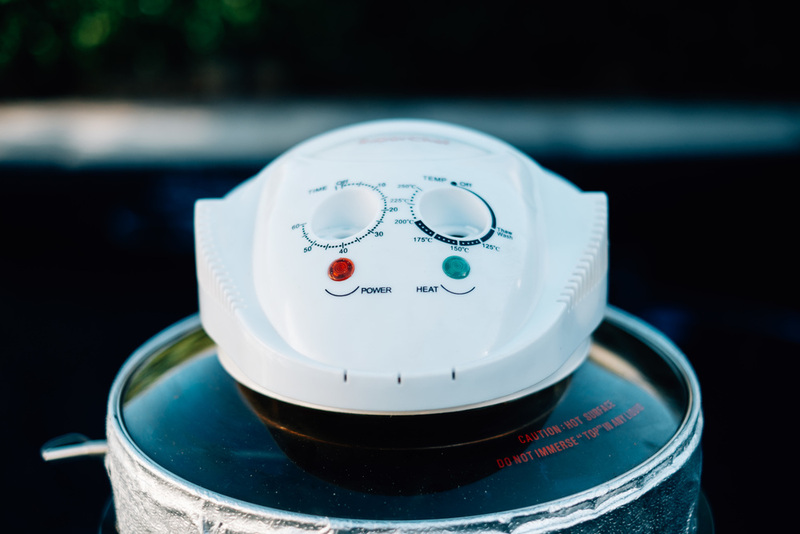 It also allows electrical control of the heating element and fan speed. This allows me to turn the whole roaster over to computer control wirelessly. I also changed out the insulation. I found I was wasting too much energy by not properly insulating the drum, I used a special grade of industrial insulation, which greatly increased the performance and energy savings of the little unit. The more head I can hold in, means the more heat that goes into the beans and the less I waste heating metal. Once this roaster gets hot, it stays that way until the days roasting is done. I develop for Excel professionally and I wanted it use it as the basis for the computer program because I could get something together that worked relatively quickly. 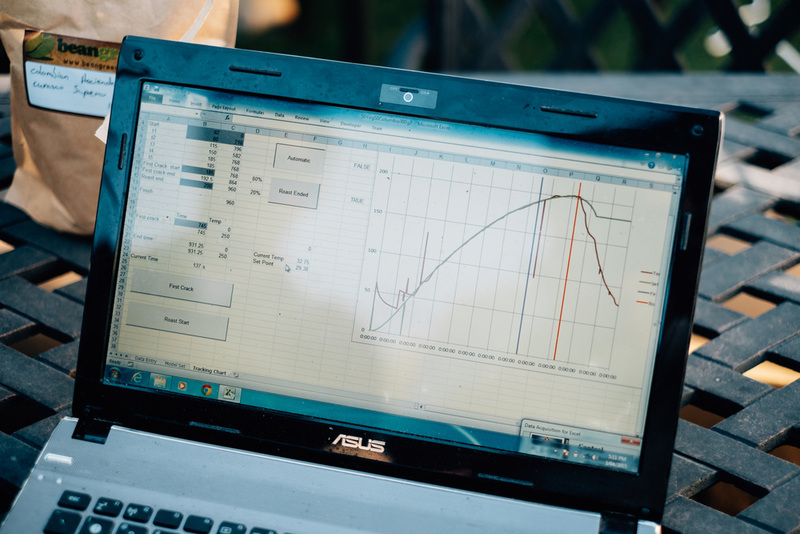 The program logs data, plans roasts and controls the roaster automatically. I use an algorithm I wrote to draw an ideal curve (red). The roaster uses the control software I wrote to change the element heat and fan speed to best approximate the curve. This means I can get near perfect RoRs, and really good coffee. When the batch is done, the computer saves the curve to PDF and I can start again. The spreadsheet also allows me to plan the batches ahead of time, and estimate how long it should take to complete the roasting program. This is a project I've been working on recently. A customer came to me and was having trouble with their espresso machine. It was putting out a lot of steam, which is great if you want to froth up a few liters at a time but not so great if the cafe is doing a small run. 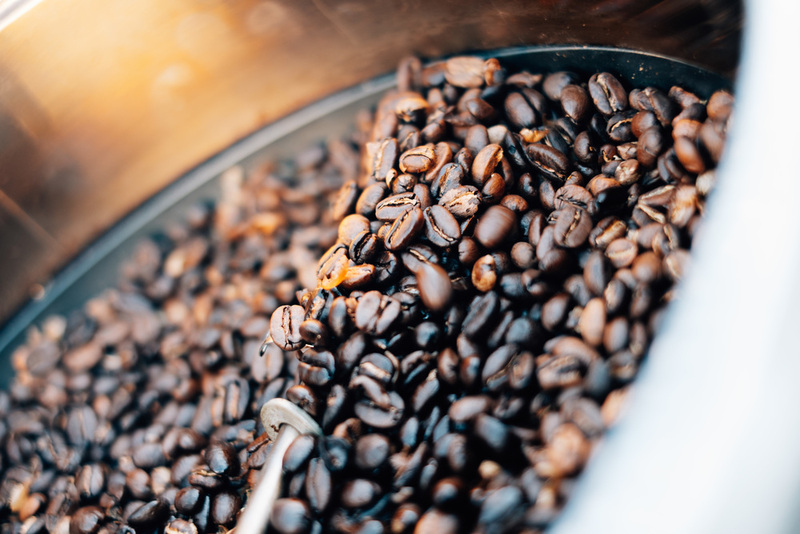 Steam tips are something that can overlooked as cafe's transition their equipment from the mass produced lattes of the 90's, to the modern specialty coffee drinks popular now. Properly texturing milk requires a lot of control and skill from the barista and the existing technology was not suited to this. After searching for a good solution I ended up just spending and afternoon building some tips and I thought I'd share the results here. Hope you enjoy! So this is the tool that's used to make the steam tips. For those who are unfamiliar the brass is mounted in the chuck on the left. It's then spun at high speeds and metal tools are used to cut it. A 45 degree cut is made in the tip to add a chamfer to the part. A small hole is made so the tip can be hollowed out. The depth of cut needs to be right up until the point where there's a chamfer. I added a knurl so the part can be taken off easily. Brass will change size as it heats and cools. This can make it tricky to unscrew if it's hot, so a knurl helps here. The original steam tip was flat on the end but I added a counter sink so the steam has some space to expand when hitting the milk. I find this allows for finer control for the barista. So there's a slight difference between these two tips in the length of the chamfer, all things considered though it came out okay. This tip is installed on the machine and the Royal Yacht Club of Victoria. It allows a barista much finer control over steaming milk. A set can be made so different sizes can be trialed at will. Course this is the one installed at home. 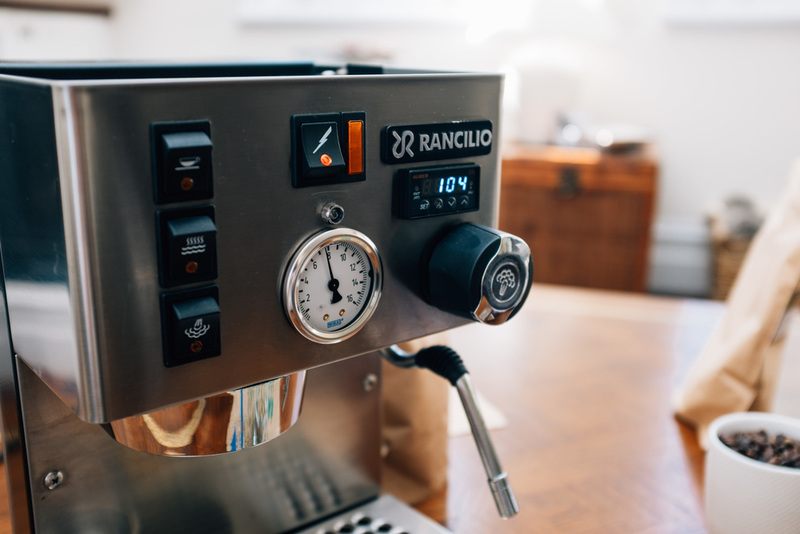 The Rancilio Silvia is an excellent domestic coffee machine and is highly recommended for the home user. Several small modifications have been made to the machine to increase its functionality. As a Chemical Engineer, I love the aesthetic of a pressure gauge. It relays important information about the pumping pressure of the machine and can be used to diagnose many issues a user might have, for example, tamping too lightly. The LED above the pressure gauge is connected to a float switch in the tank. It glows orange when the water falls too low. This notifies the user that the tank needs topping up and prevents someone from accidently running the boiler dry and possibly damaging the machine. This modification to the machine prevents channeling. Channeling is when the coffee puck fractures in the basket, allowing water to flow through the puck unevenly. The countersunk screw displayed here means that the shower screen is flat, which helps to prevent this from occuring. One of the best additions a user can make to the Silvia is a PID controller. This one is available from Auber Instruments . A PID is like cruise control on a car. It holds the temperature to a set value. It does this by periodically switching on and off the heating element. The PID effectively eliminates the need to 'temperature surf' the machine. The Rancilio Silvia is easily the best machine for the price on the market. It is a sturdy, well-built machine and is very easy to work on. There's a wealth of information available on the internet, but if you would like any more, please feel free to contact James at Williamstown Roasters. 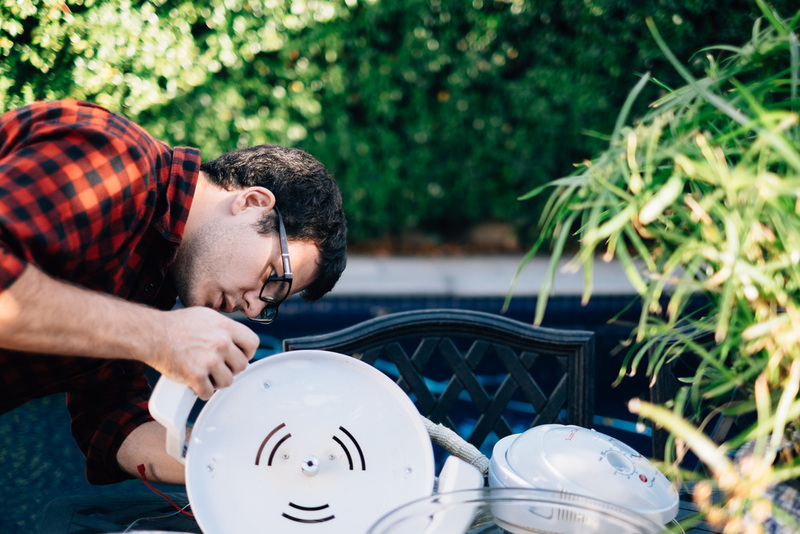 James' personally designed bench-top roaster is a heavily modified convection oven. The roaster is designed to roast to a curve paying special attention the rate of roast using process control software. Data is fed back to a laptop for analysis of the roast. The idea for a small, home roaster came to James in Milan. He was in a park and thinking about how much money he'd been spending on roasted beans. His solution was build a roaster of his own. He made a few sketches and resolved to build the machine when he returned home. To start with, an oven type needed to be selected. This convection oven uses a halogen bulb to heat the machine. 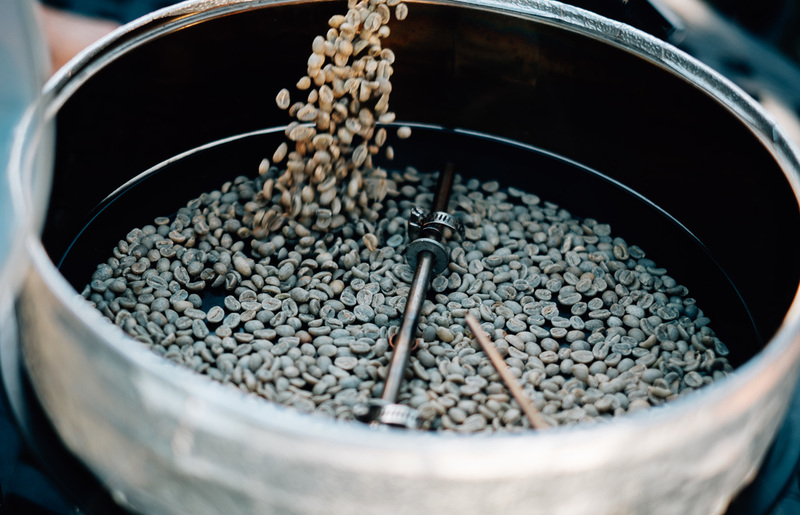 An internal fan disperses the hot air inside the machine which allows the hot gas to circulate and roast the beans. Microsoft Excel is used to log the data coming from the machine. A micro-controller monitors the roast. 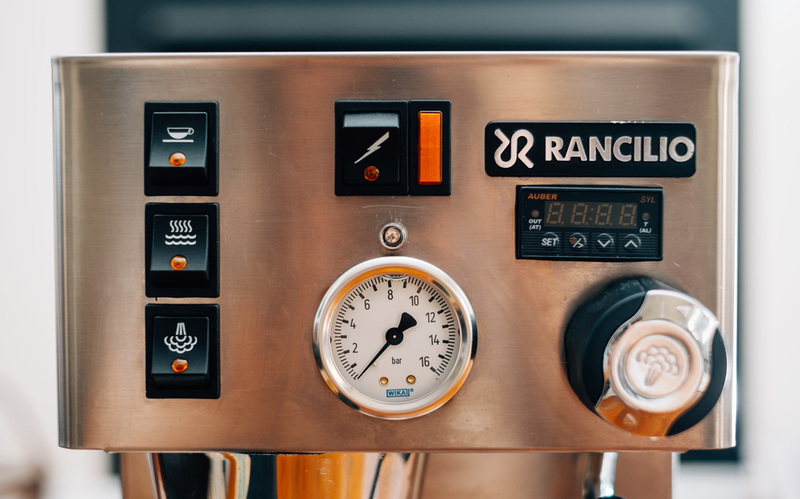 The program installed in the micro-controller very specifically matches a roasting curve giving the user unparalleled control over the roasting process. The green beans are mixed using a small motor and a stainless steel T piece. This allows the beans to roast evenly. PID control is widely used in engineering applications for process control so James used it here. The program senses the temperature of the beans and decides to turn the element on or off. By doing this the amount of heat required to roast is precisely incremented throughout the roast. What started out as a small sketch lead James to find out what he was really passionate about. He'd like to share that same passion with everyone else through Williamstown Roasters in the hope you get as much enjoyment out of excellent coffee as he does. A friend of mine was chasing this spare part. It's a lock washer that is used on a Slayer Espresso Machines. Unfortunately this small piece of ABS broke off his machine and he was unable to order a replacement without purchasing the whole assembly. So I drew up a quick file ready to be 3D printed. Feel free to download and print one yourself! If you don't have a printer they are available at some officeworks stores, some local libraries and available for purchase at stores like Jaycar. This is a small stand I made up after trying to balance my portafilter for too long and getting inconsistent results. 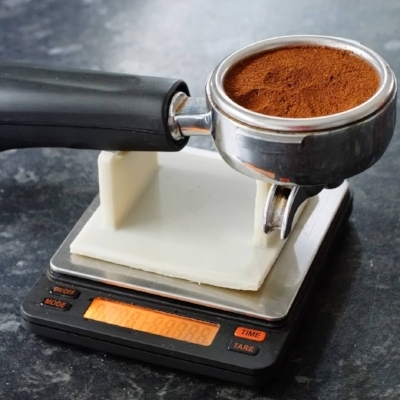 This stand allows the portafilter to balance on the scale more easily so weight readings are easier to obtain. I find this useful, particularly for smaller scales. 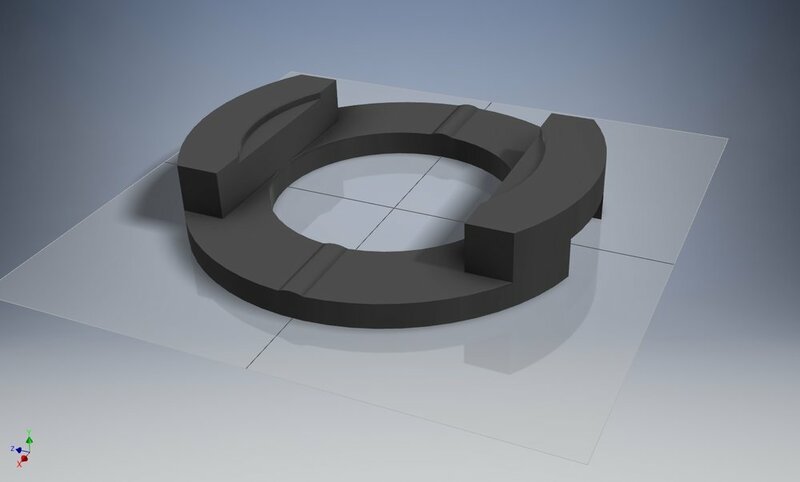 Please see the link below to the thingiverse file where you can print one off for yourself.